Hosting a shredding event is a great way to raise awareness of your brand in the community and reward your current clients. Record Nations can help you plan, market, and host a successful shredding event. What is a Shredding Event? A shredding event is a day you set in advance in which a mobile shredding truck comes to your location and performs shredding for all your guests in the community. Typically, a shredding event lasts a few hours (but the duration is up to you). We have seen better results when the shredding is free to your guests, with donations being optional. When you partner with Record Nations, we help you establish a thorough marketing plan well before the target date to make sure your event is successful. A Shredding Events specialist works with you on scheduling the best shredding company near you. We collaborate with the shredder on organizing dates that work for you, saving you a lot of time in the planning process. Throughout the entire process, you will receive one-on-one consultation on the best ways to organize and promote your shredding event. We are available at any time during business hours to help answer any questions or concerns that may arise. Our Shredding Events specialist contacts your local media to promote your event. We also offer a free, customized press release and free graphics to promote your event online or off (all at your own disclosure). On the day of the event, the mobile shredding truck is sent to your location for the allotted time. Community members can bring by their boxes of personal papers to be shredded while they watch. You organize volunteers from your organization to take donations from the attendees. Our Shredding Events specialist works with you on determining the best way to promote your organization to yield the greatest turnout possible. All your papers are shredded in front of you. The remains are later taken to be recycled. Typically, a free shredding event draws larger crowds which equates to a more successful marketing campaign for your brand. We recommend utilizing the free shredding event schema while accepting donations throughout the event. 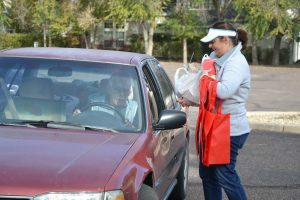 With just the donations alone, Record Nations has helped many organizations earn enough money to cover the fees of hosting a free shredding event to the community, while helping to raise food, clothing, and other items for the community as well. Record Nations has years of experience in hosting successful shredding events, working with companies in just about every industry! We work to find the best deal for your shredding event with our partnered, mobile shredding contractors throughout the country. To get started, fill out the form on the right or give one of our Shredding Events Specialists a call at (866) 385-3706. You will be contacted in just minutes with information on hosting a successful shredding event for your organization.